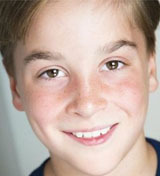 KIERAN BROWN (u/s Friedrich, u/s Kurt) Kieran is a 5th grader and lives on Long Island, NY and is so excited to be making his National Tour debut wiht The Sound of Music! 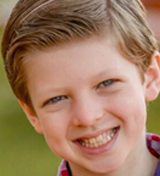 Recent Credits: Elf (u/s Michael Hobbs, Featured Ensemble), Fun Home (John), Gypsy (Newsboy). Thank you to Cristina Hall, Kurt Domoney, Mallory Levy, Robin Paola, and to all of my family for helping me experience this amazing opportunity. 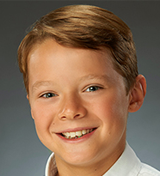 ETHAN DOUGLAS CUTILLO (Kurt) Ethan, from Clarks Summit, PA, is thrilled to make his national tour debut with The Sound of Music. Regional credits include: Rags, the Musical (David), Mary Poppins (ensemble). He gives thanks to Danny Marx and Colin Holmes for starting him on the path to this great opportunity. Much love and thanks to all his family, especially to Mom, Dad, and his sister Carolyn for all their help and support. AMELIJA HILL (u/s Gretl, u/s Marta) Bio coming soon! EMMA O’KANE (u/s Louisa) Bio coming soon! 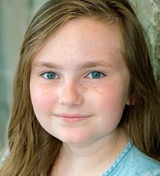 RILEY O’KANE (Marta, u/s Brigitta) Riley is a 4th grader at Green Meadow Elementary School (East Greenbush, NY) and is thrilled to be making her debut National Tour. 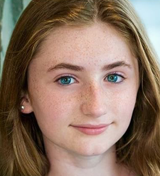 Recent credits: Annie (orphan) Mac-Haydn Theater, Roald Dahl’s Willy Wonka (Oompa Loompa/Candy Girl), Peter Pan (Tinkerbell). Special Riley hugs to all who inspire her: Emma, Lisa, Charles, The Mac-Haydn Family, Andrew, Mom, Dad. 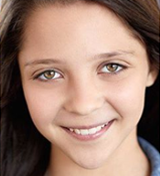 EMILY STRUGATSKY (Brigitta, u/s Louisa) A 10-year-old from Brooklyn, NY, is honored to make her Tour debut. 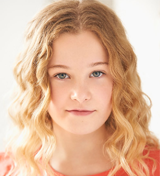 Stage credits: People’s Garden and Junie B. Jones with Pixie Dust Theater, Annie Jr. with Kidz Theater. Emily would love to thank her entire team of coaches who have helped her live her dream and for pushing her to the next level. Special thanks you to her Manager Mallory Levi and to her family for their unconditional love and support. Instagram: Emily.Strugatsky; emilystrugatsky.com. 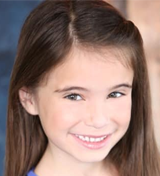 QUINN TITCOMB (Gretl) Quinn, age 6 from South Florida, is thrilled to be joining the cast of The Sound of Music! Credits: Waitress (Lulu), Broadway National Tour. Quinn enjoys swimming, learning and playing with her friends. 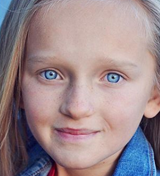 Thanks to Connecting Talent Company and Carson-Adler Agency for believing in her. Big hugs to her parents, family, friends and teachers. MATILDA Coming to Cleveland, NEWSIES Surprise Fansies, and more! The cast of Newsies surprised Fansies during a special screening of "Newsies" at the El Capitan Theatre in Hollywood. Watch the video below! 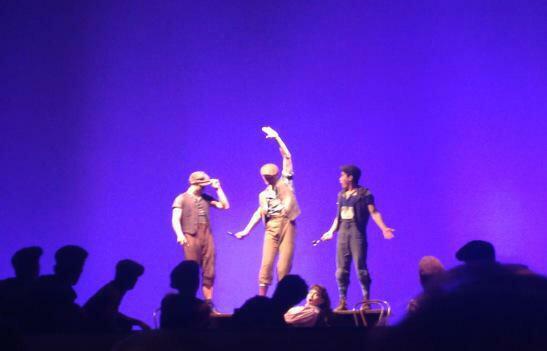 And here are pictures from the kids of Annie, Newsies, and Pippin!